After years of perseverance and lobbying with other pro-family organizations, Concerned Women for America (CWA) is overjoyed to report that Hilton Hotels will now remove all on-demand pornographic videos from its properties worldwide. Hilton Hotels were once on The National Center on Sexual Exploitation’s “Dirty Dozen List” but have now been removed. We recognize that around 50 percent of hotel guests purchase adult films, which translates into nearly 70 percent of in-room profits. When Omni Hotels dropped adult pay-per-view movies from their TV lineup 1999, they estimated that it would cost them about $1.8 million per year. 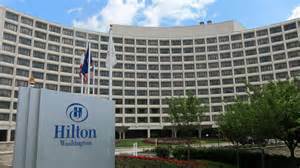 Make no mistake; this commendable decision will cost Hilton hotels revenue, but what is more important—families across the world will gain. Not only that, women who travel alone in the business world will now be safer. Women will not have to worry about what other hotel-goers who they encounter in the elevator or the gym have been watching. Say “thank you” with us! CWA would like to thank Hilton Hotels for listening to their customers and joining the fight to end sexual exploitation. Check out the letter our President and CEO, Penny Young Nance, wrote to the President and CEO of Hilton Worldwide. It is so important to acknowledge pro-women, pro-family policies when we see them! Click here to sign a quick “thank you” via the American Family Association. Call other hotels to action! There are now at least 25,000 hotels that do not offer adult pay-per-view movies. Now that one of the largest hotel chains in America has joined this group, CWA and our members are calling on other hotel owners to follow suit.